Our customers tell us they enjoy the comfortable rooms at Comfort Inn Kings Cross . During your stay, you'll be within walking distance of University of London. Free breakfast and free WiFi in public areas are available. This 3-star bed & breakfast has 63 rooms over 3 floors. Enjoy your stay with amenities like satellite TV channels and a coffee maker in each room. 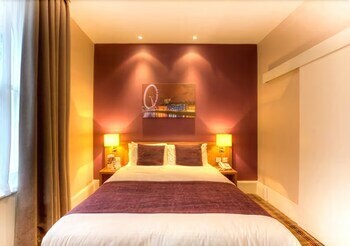 Decent comfortable hotel for central London and conveniently located for King's Cross. The room was fine, the bed was the most uncomfortable lump I have slept in for a long time and the position of room 116 with its door between two locking doors right next to reception meant listening to lots of people talking as they tried to open the doors. Not a good nights stay. Pros: Location, friendly staff, well equipped bathroom comfy bed, useful baggage storage room. Location: Short walk to Kings Cross/St Pancras stations. so easy for trains to airports, Eurostar, buses and Tube to Central London. Plus London Library nearby. I stayed two nights and was mostly satisfied. Best feature is the location. Worst is the breakfast, which prompted the low rating. Room was a bit basic but comfortable, and very warm. Bathroom excellent. I was a bit annoyed I couldn't get mainstream BBC and ITV channels on the TV, but at least it worked. Breakfast area is awful: in the basement, accessed by the lift and three other entrances so there is a constant coming and going of other guests with suitcases, plus some very rowdy children. Low ceiling makes it very noisy. Breakfast [continental plus cheese and ham] was adequate but nothing special. I'd have preferred to pay less and go out to the many excellent cafes in the area for a decent, and peaceful breakfast. No frills but good value. Couldn't fault it for location,cleanliness,etc. This little place is what you see is what you get. 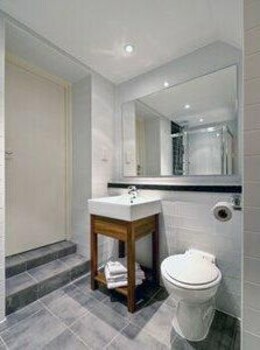 It was in a great location for st pancras station, very clean and the room was small. Room size didn't matter as it was a quick overnight stay before an early train. Breakfast is a typical continental type which are never extravagant but again, what you would expect. Paying for Internet is still a ridiculous thought for me however the staff provided a code free of charge for our device. Overall it worked for its design and if you expect that going in you will not be disappointed. We stayed here for one night before catching a train the next day so it was convenient for that. However it's not somewhere that you would want to spend more time than you need to in - we arrived late and left early, 12 hours in all. Breakfast is included but is very basic and impersonal akin to a canteen (albeit without staff). The room was clean but the halls felt more tired. The room itself was tiny without anywhere to really store your luggage or even open it out (we used the bed, then had to tip toe around it on the floor). The shower was also not working and we had to use a spare room to shower, after two phone calls and a visit from the staff. Hotel was just around the corner from a very main road and only has one set of (non-double glazed) windows. If you are arriving or heading out of London via Kings Cross or St Pancras then this is the hotel for you. Just a few minutes away from the station and in amongst plenty of places for a cuppa or a meal. The hotel is comfortable, secure and the staff are friendly and the buffet breakfast is pretty good too! Only downside is not all rooms are in the building with a lift so if you get a room on the third floor just watch out for the stairs! Free breakfast is served daily. Public spaces have free WiFi. The business-friendly Comfort Inn Kings Cross also features multilingual staff, a safe deposit box at the front desk, and a lift. This 3-star London bed & breakfast is smoke free. 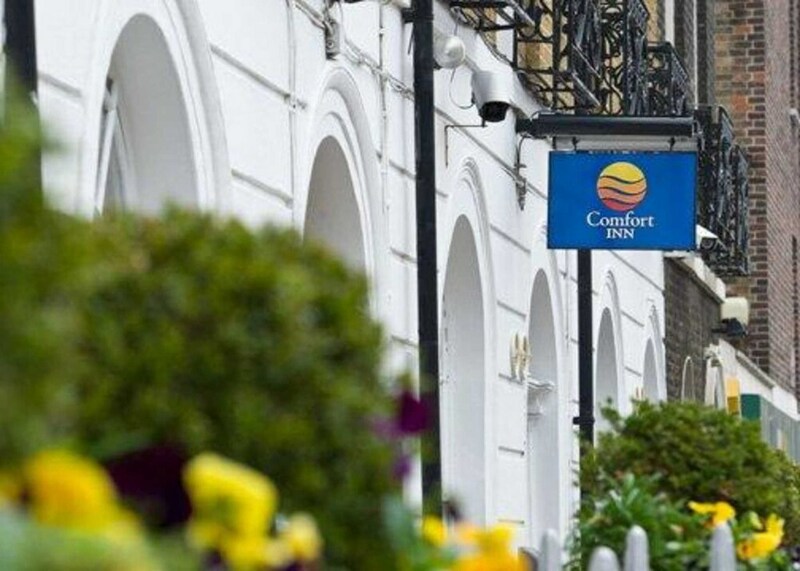 Comfort Inn Kings Cross offers 63 forms of accommodation with a safe and coffee/tea makers. Satellite televisions are provided. Bathrooms include a shower and a hairdryer. This London bed & breakfast provides wireless Internet access for a surcharge. Business-friendly amenities include desks and telephones. Housekeeping is offered on a daily basis and an iron/ironing board can be requested. Guests are served a free continental breakfast on weekdays from 6:30 AM to 9:30 AM and at the weekend from 7:00 AM to 10:00 AM.